The costs of extended care services can be expensive, so seniors often need to find financial assistance, whether they get the funds from family and friends or outside sources. This includes paying for in-home care as well as other long-term healthcare needs. Continue reading to learn some ways your family can obtain financial assistance to pay for your aging loved one’s care. Although Medicare doesn’t cover the costs of nonmedical in-home care services, your loved one could receive financial assistance if his or her doctor deems the care necessary. A medical provider may say your loved one needs in-home care while recovering from an injury or surgical procedure. In-home care could also be recommended for chronic conditions. You should ask your loved one’s medical provider if in-home care is necessary and request documentation to share with a Medicare representative. Your loved one’s home care needs could vary according to his or her ability to accomplish everyday tasks. Aging in place can present a few unique challenges for older adults. Some only require part-time assistance with exercise or meal preparation, while others are living with serious illnesses and benefit more significantly from receiving live-in care. Clarksville, TN, Home Care Assistance are leaders in the elderly in-home care industry for good reason. We tailor our care plans based on each senior’s individual needs, our caregivers continue to receive updated training in senior care as new developments arise, and we also offer comprehensive care for seniors with Alzheimer’s, dementia, and Parkinson’s. Many businesses and government agencies provide financial assistance for elderly care and various expenses. 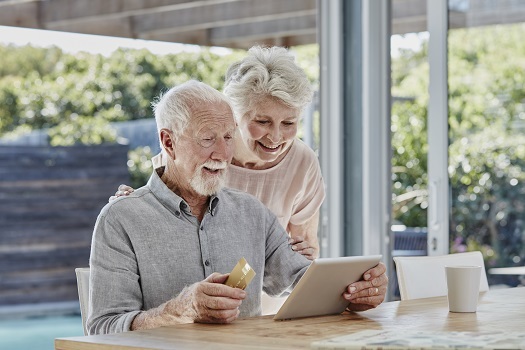 These programs typically have eligibility requirements seniors must meet before they can apply for the benefits, such as being a certain age, living in a specific area, and displaying a financial need. Family caregivers can get a list of local, state, federal, and nonprofit programs from senior websites or the local health department, or they can reach out to program leaders at nearby senior centers. If your loved one has a caseworker, check what local and national financial assistance programs are available. Some family caregivers are unable to be there physically, so they offer financial support to their elderly loved ones. These funds can be used for a variety of expenses, including in-home care. Schedule a meeting with family and close friends, and disclose your loved one’s healthcare needs, giving a detailed breakdown of the costs, benefits, and current options. During the meeting, ask some of the attendees to commit to helping out with the financial costs associated with in-home care. If someone is unable to donate money, ask him or her to pledge some time instead. The individual can come over and help with household chores, medication management, meal prep, errand running, and other aspects of caregiving. If your senior loved one has been diagnosed with a serious condition and needs help with tasks like meal prep, transportation, bathing, and grooming, reach out to Home Care Assistance, a leading provider of elder care Clarksville, TN, families can trust. We also offer comprehensive care for seniors with dementia, Alzheimer’s, and Parkinson’s. If your loved one is a veteran and eligible for a VA pension, he or she might be entitled to various benefits, including in-home care. Your loved one would qualify for the household benefit, and payment will be sent to the home care agency providing in-home care, regardless of whether your loved one lives alone or with you and other family members. To receive the household benefit, a senior veteran is generally required to have a permanent disability that has been evaluated as 60 to 100 percent disabling. The income of senior veterans might also be a deciding factor. You can call the regional VA office to see if your loved one qualifies for in-home care benefits as well as financial assistance for other daily expenses. One of the most challenging tasks of helping an elderly relative age in place safely and comfortably is researching agencies that provide home care services. Clarksville families can turn to Home Care Assistance for reliable, high-quality in-home care for aging adults. We offer 24-hour live-in care for seniors who require extensive assistance, and we also offer respite care for family caregivers who need a break from their caregiving duties. To learn about our high-quality in-home care, give us a call at (931) 444-1950 today.